Thanks for visiting RUforgiven. We hope you’ll take a couple of minutes to read an important message – for the sake of your own immortal soul. Eternity is real. The Bible makes that abundantly clear, over and over again. 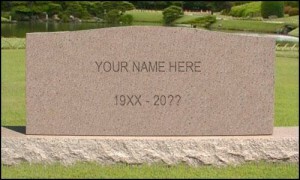 A person doesn’t live on planet Earth for 70 or 80 years or so, and then cease to exist at death. God made mankind in two parts – a material part, our physical bodies – and an immaterial part, our soul or spirit. What happens when the body dies? It lies in wait, waiting for the resurrection on the last day. But the spirit of a person doesn’t die, and it doesn’t sleep. Jesus clearly taught that when a person dies, his soul either goes to heaven or to hell (Luke 16:19-31). The Bible is very clear that “it is appointed for men to die once and after this comes judgment” (Hebrews 9:27). If heaven and hell are real, as Jesus taught over and over again, don’t you think it might be important to find out how to get to one and avoid the other? If life here on earth is for 80 years, and eternity is forever, which do you think is really more important? Shouldn’t you be sure about your eternal destiny? The Bible, my friend,tells us what we need to know! Would you take a few minutes (remembering that eternity lasts for more than a really really long time) to see what God’s Word has to say about how to set your path toward heaven and avoid the eternal flames of hell? First, please read about The Problem — and after that, consider The Solution. "If you wish to come into God's kingdom, therefore, you must ask God to rescue you "from the dominion of darkness" and bring you "into the kingdom of the Son He loves" (Col. 1:13) You must renounce your deal with the devil and swear allegiance to Christ the King. You must say, in the beautiful words of hymnwriter Frances Havergal, "Take my heart, it is Thine own; it shall be Thy royal throne.""